The exterior protects the interior of your home. So, it is important to trust an expert concrete contractor with your concrete needs. Pour Concrete is a popular name among home-owners and businessmen of Greater Toronto Area for exceptional concrete pouring as well as repair services. Most GTA-based homeowners and businessmen choose Pour Concrete because we ensure durable and low-maintenance driveways, sideways, patios and sidewalks. Our expert service and incredible results will help you enhance the curb appeal of your home. 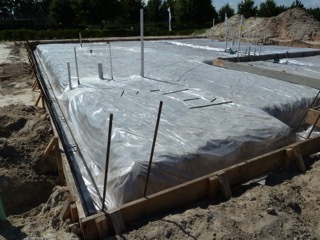 If you are looking for a contractor to build new garage pad, Pour Concrete is the perfect choice. We will help you build one according to your requirement. Pour Concrete is well aware of the current construction codes. We will make sure that your shop floor adheres to the rules and specification of the city and the county. We can provide floor heating and several different types of finishes. We even specialize in colored concrete and stamped concrete. It is time consuming to pour concrete and create sturdy durable structures for driveways and garage pads. It requires experience and patience. 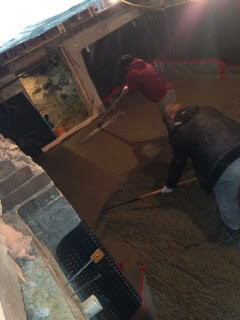 And, the Pour Concrete team of concrete workers is expert at it. We believe in highest level of craftsmanship and ensure that our every concrete job brings satisfaction to customers. Why Choose Pour Concrete as your Reliable Contractor for building Concrete Driveways, Garage Pads and Shop Floors in Toronto? When it comes to concrete driveways, garage pads and other concrete structures of your home, you can bank upon Pour Concrete, one of the most dependable concrete contractors of Toronto. Call us on 647-368-6206 or obtain a free estimate today.